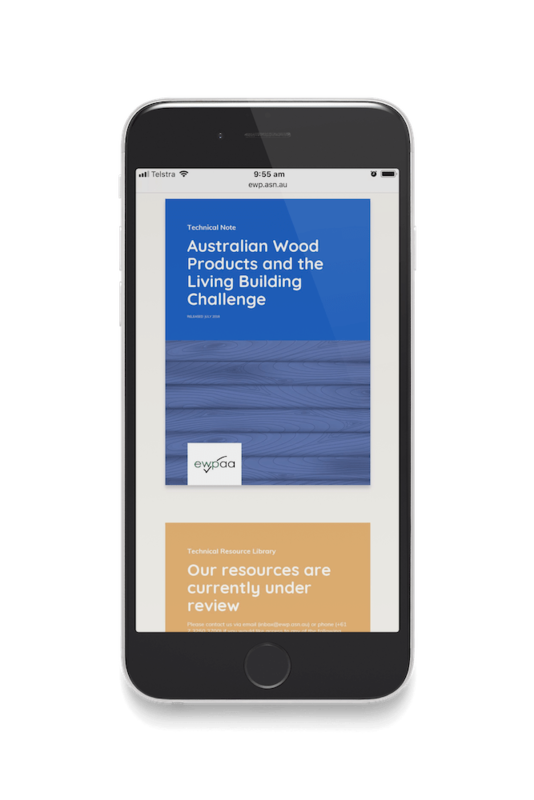 When the Engineered Wood Products Association of Australasia (EWPAA) came to Wide Open Co. to discuss a redevelopment of their website, they knew their current site was impacting on user experience and affecting their ability to maintain the site in a considered way. They wanted their website to connect with a range of different audiences including suppliers, manufacturers and buyers of the products that they certify, so we knew we’d need to really understand their industry and audiences. It was clear to us that the website simply had no clear function or reason to visit, and EWPAA wanted to resolve not just one but all of these problems. 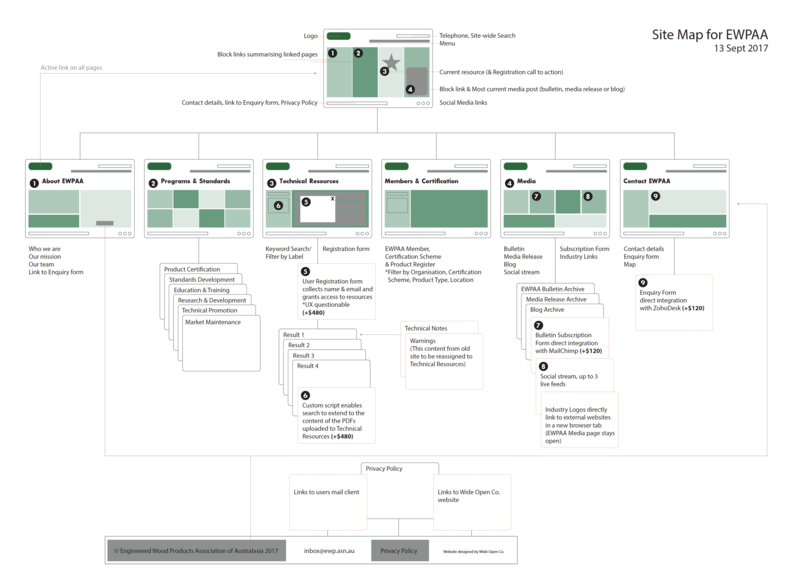 Keeping in mind the different audiences using the site, we revamped the whole site’s architecture so that it was simplified and met visitors’ needs and expectations. This included reducing the number of pages and subpages and signposting key information and information flows so that navigation became simple and intuitive. 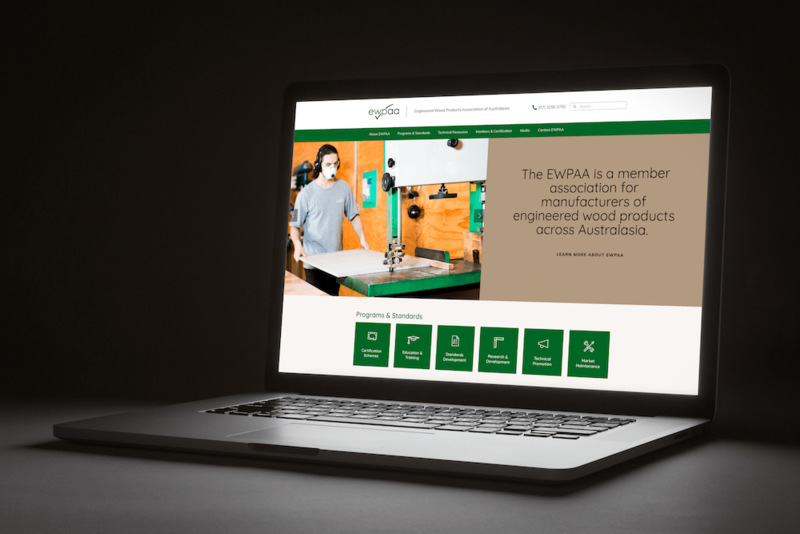 We integrated the visual identity that had been evolving in printed collateral since we started working with the EWPAA, and developed an easy to navigate interface with a compelling balance of visuals and information. While it seems a no-brainer, making sure design is interactive and mobile responsive was a way of making sure all visitors were able to find the information they wanted in an easy way. Wide Open Co have done a fantastic job with the redesign of our website and we would recommend them to anyone looking to do the same. Meghan is a true professional who was great to work with throughout the entire redesign process. We will definitely continue to work with Wide Open Co for all of our design needs. We began by chatting at length with EWPAA about their audiences, needs and desired functionality. These answers informed our sitemap, content architecture and wireframes so that they got to the bottom of the key issues facing EWPAA and their website users, as well as making the process as problem-free and quick as possible. To make keeping on-brand was as easy as possible, we developed a bespoke EWPAA style guide with past and present brand elements in one place. It’s a live document available online so that all updates and new files are in one place and ready to go. 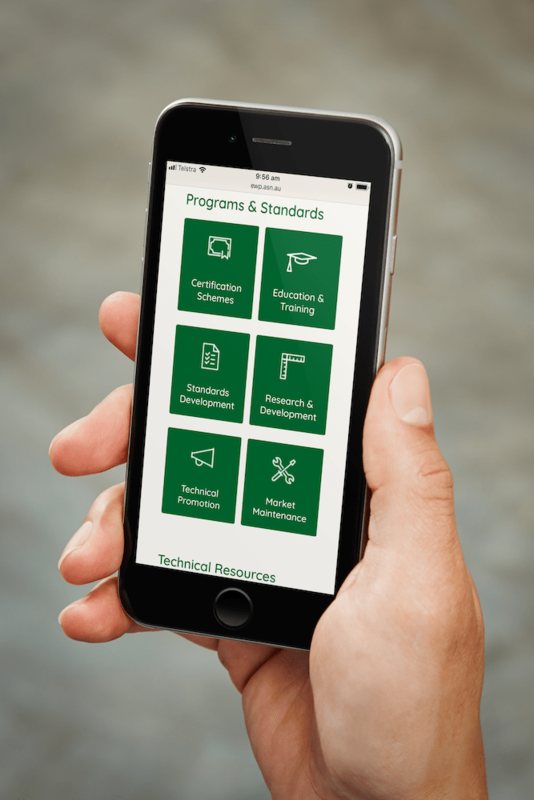 Wide Open Co. managed a collaborative effort between designers, information technology specialists, website developers and management to simplify, map and iron out the kinks in EWPAA’s member and certification database. 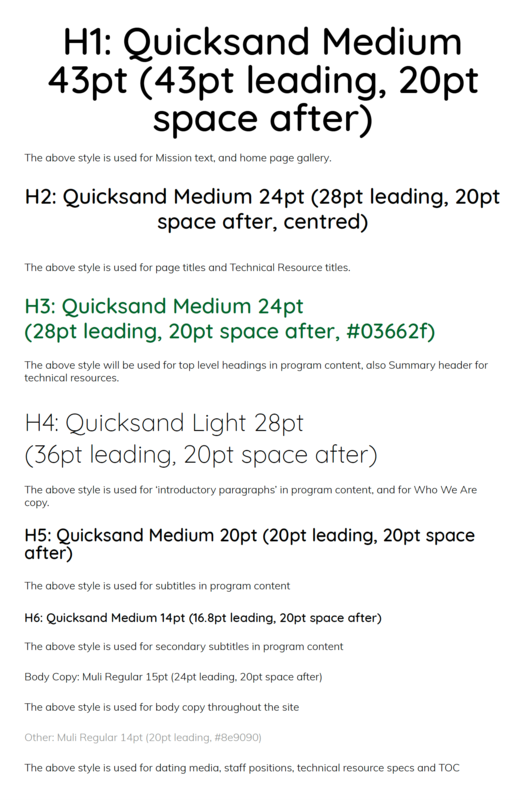 This made sure that the new search module developed for the website was a wide-ranging and powerful tool. 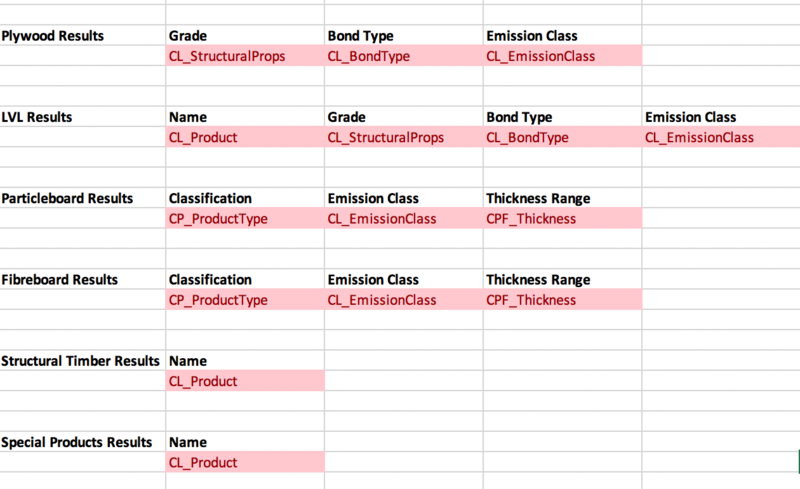 Developing a suite of technical resource documents and template in-line with the EWPAA brand is a way of helping make publications consistent, as well as transition existing technical resources. 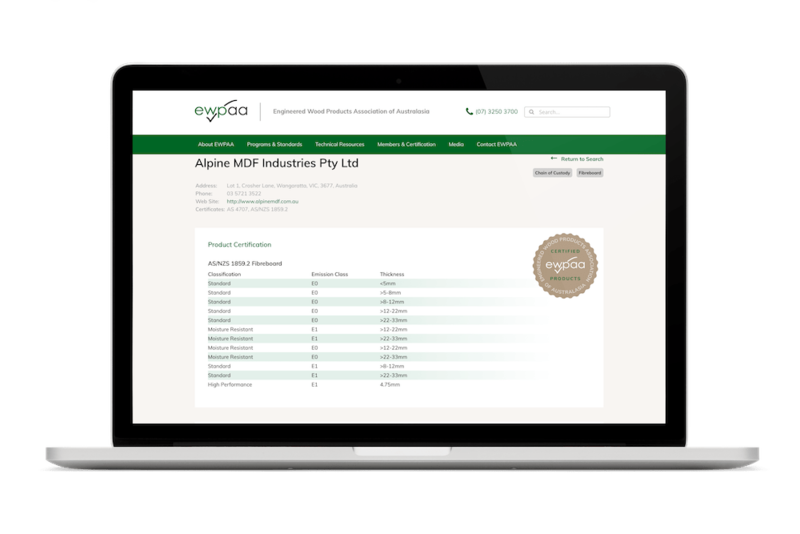 EWPAA added logos of all its certified manufacturers and suppliers to recognise and support their efforts in maintaining the high standards that the Australasian timber industry wants to be known for.